Garry Shead’s Royal Monarchy series invites readings of different levels. The series can be interpreted as a historical recreation of a specific royal visit in 1954.Garry Shead made a wonderful set of 9 fine art limited edition etchings called the Monarchy Suite. this series sold out in the late 1999. 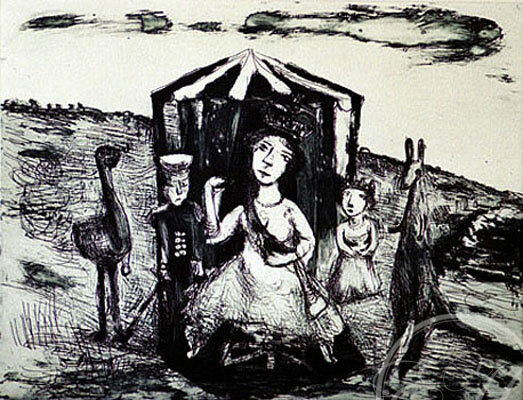 Etching House has a few hard to get peices still for sale from its archive collection of works on paper by Garry Shead.